← Democrats, Republicans and Globalization — Convergence on Anti-Trade? 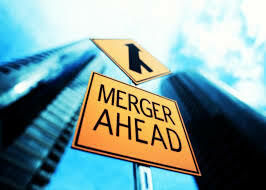 Global Mergers & State Economic Development — Any National Security Concerns? … Chinese investment into various American states recently, for example, Ohio and Virginia (Genworth) , are looked upon by state officials as being vital to state economic development. Mergers within the US by US firms are increasing significantly because corporations have a lot of cash and are trying to position themselves for an even more hyper-competitive environment. Chinese firms also have a great deal of cash and are also trying to position themselves for an even more hyper-competitive global environment. States want Chinese investment to assist in their economic development to counter the harshness of the global economy and stagnant state revenues. Much of this activity raises various issues including growing concerns over national security as more domestic industries fall to foreign (Chinese) ownership. To focus on just one aspect of this scenario, that is not discussed generally, is the growing tension between foreign investment and state economic development. While such investment previously involved mainly European investments that was not much of a problem. But as this investment is now more-and-more Chinese newer concerns have arisen. Not only in the US but also abroad. That is the tension between foreign investment for economic development and the national security concerns of the nation. There is no simple answer to this. However, the broad answer is that foreign investment is essential to state economic development in the US. This is an obvious development given the globalization of trade, investments and global supply chains. But it is also clear that there may be some justifiable national security concerns on the national level that preempt state concerns. The challenge is to make sure that the national security rationale doesn’t merely provide a convenient cover for protectionist policies. The integration of global finance and business are the essential forces driving future state economic development. Good state and national policies are needed to promote such local development. …. “New Record for US Mergers.” Wall Street Journal (Oct.28, 2016). …. “A View of the Road Ahead.” Washington Post (October 27, 2016). …. “Resistance to China’s Acquisition Spree Stiffens.” Financial Times (October 26, 2016).